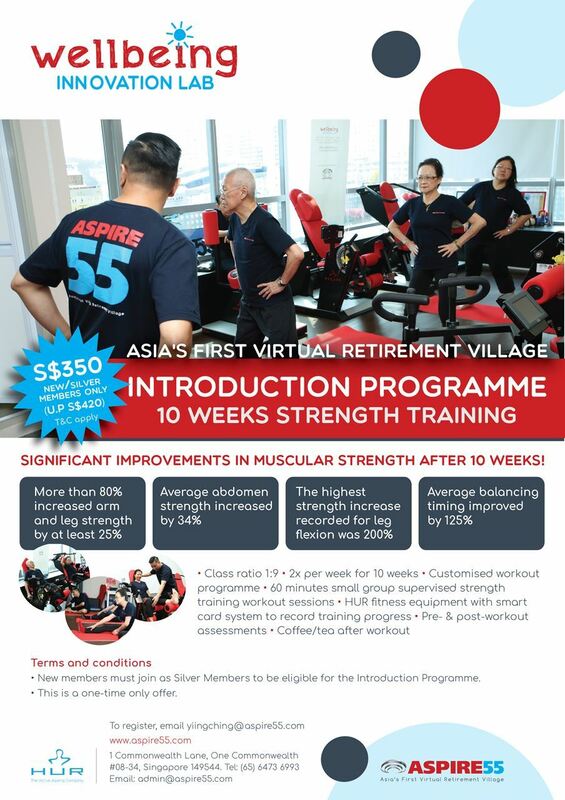 The ASPIRE55 Introduction Programme is designed to help you improve on your muscle strength and balance after 10 weeks. Over 150 older adults have graduated to date. You will experience our small group strength training programme twice a week, led by an ASPIRE55 trainer. Each week, learn new exercises that will assist you with falls prevention, improvement of balance and muscles strength. Call us at (65) 6473 6993 to book an appointment to speak to our team on this programme and how we can help you to strengthen your muscles, balance and overall wellbeing.